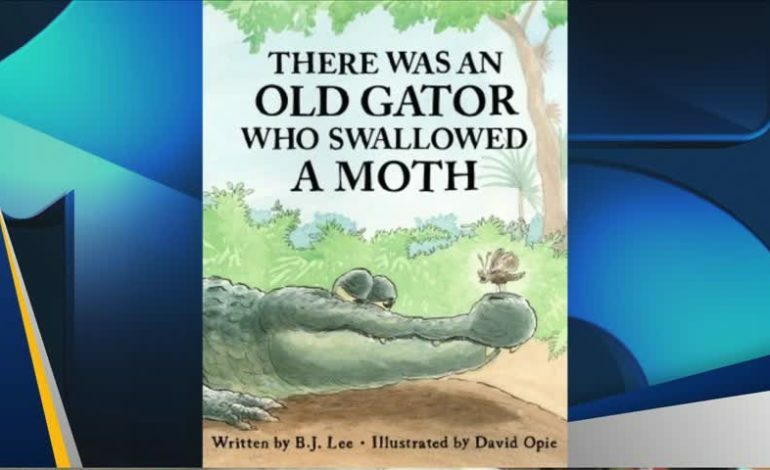 In this cute picture book, a hungry gator accidentally swallows a moth. And, of course, he swallows a crab to get the moth! The gator continually swallows larger creatures until he can’t eat anymore.